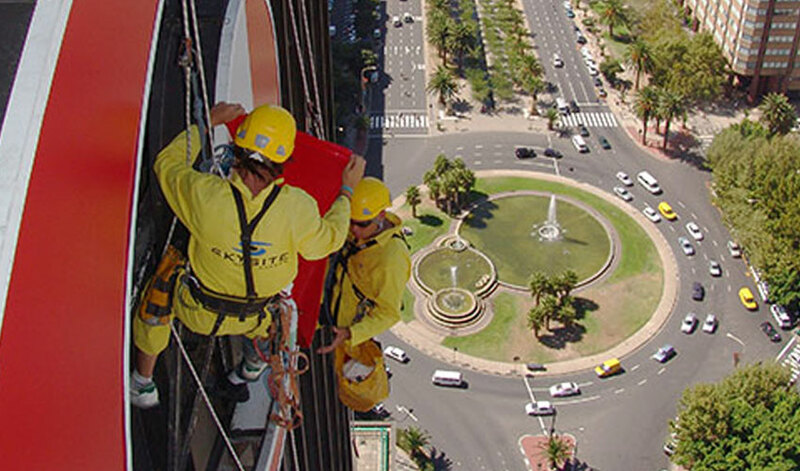 Specializing in work at height since 1998, and with a proven track record for professional, safe rope access, Skysite has built up a large, experienced team of multi skilled rope access technicians and management systems to ensure work is delivered to international standards, on time and on budget. Skysite are full members of the Institute for Work at Height, and all systems and practices conform to the South African National Standards for rope access. 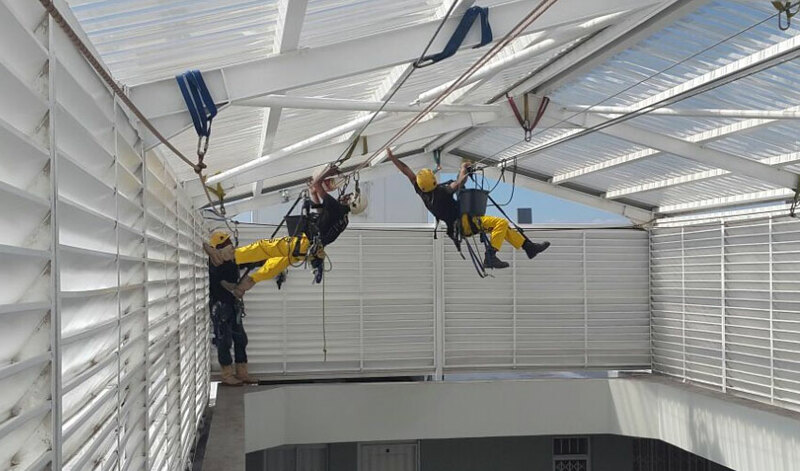 As a leader in Rope Access, Skysites’ expertise has resulted in our teams having been deployed throughout Africa, America and Asia. 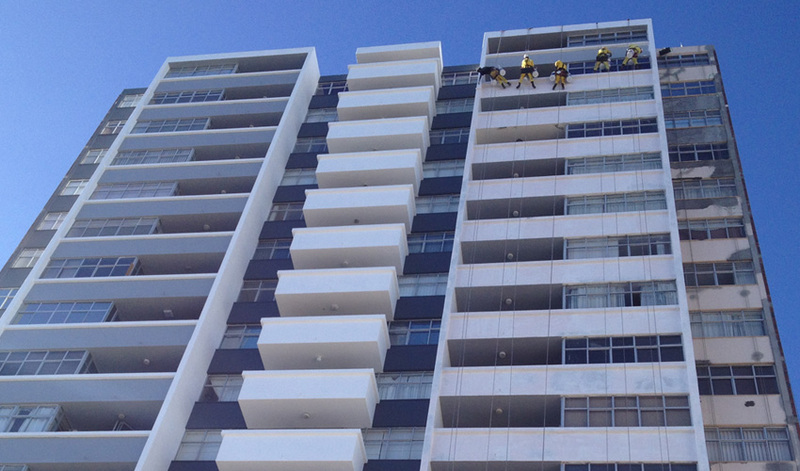 Contact us to discuss how Skysite can help you with our Rope Access Solutions. Skysite has been working in heavy industry since 1998, and is aware of the requirements to successfully complete projects within budget and on schedule. We have systems in place to deal with challenges such as limited access times, working machinery and potentially dangerous surroundings. Having worked for some of the most sought-after international clients, Skysite has consistently performed above expectation when audited for health and safety, service and quality. 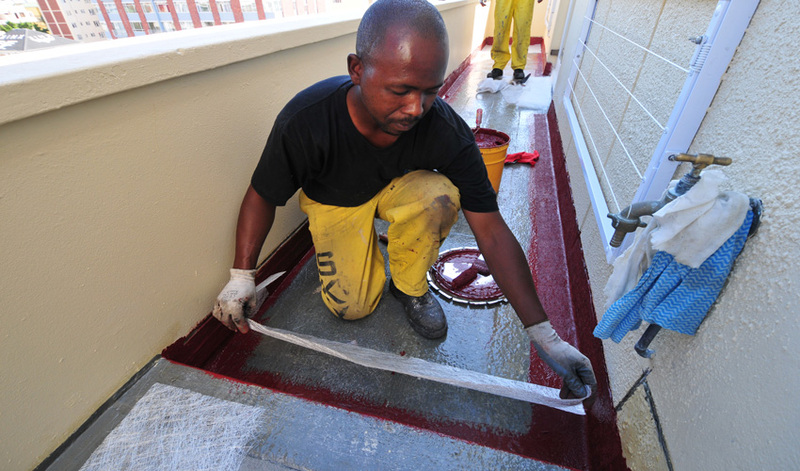 The installation and maintenance of waterproofing ensures that structures remain sound, and can prevent costly maintenance. With over 15 years’ experience in building maintenance Skysite Waterproofing will ensure your project runs efficiently and professionally. 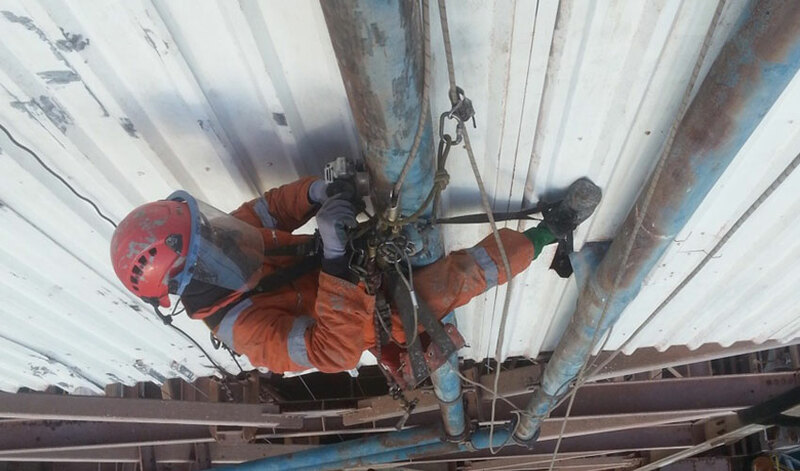 Rope access is a fast, cost effective method for accessing areas previously only accessible by expensive scaffolding or maintenance heavy cradles, and sometimes, areas that were not previously accessible at all. 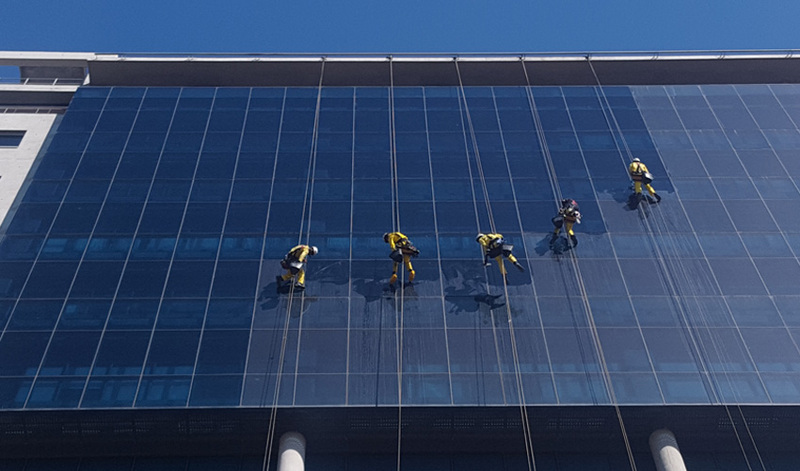 Specialists in refurbishing town house complexes, commercial properties, shopping centers, high rise buildings as well as industrial factories or plants. Consult with Managing Agents, Project Managers and Body Corporates on the best methods of access or products to suite a projects specific requirements. Not limited by access options, and has the in-house skills to carry out projects, whatever the access requirements. Competent on-site managers oversee quality, general conduct of the teams and that all health and safety requirements are met. All sites have site specific files, including all works to be completed, client contact details and site specific requirements. Divisional head keeps constant communication with clients regarding programming, project progress and general feedback.